Sometimes in life we bite off more than we can chew. I recently had a week where I had a Court appearance every day that week, and all over the state to boot. Normally I do not schedule things like that, but sometimes it happens. In a few instances I really don’t have control of my schedule. Emergency issues happen and they have to be addressed (which one of these was). A lot of times we put stress on ourselves unnecessarily due to what we are trying to do – seemingly too much. Also, doing too much can make or personal life suffer. Well as it turns out, more often than not, you can handle it, but the stress and anxiety leading up to a maxed-out schedule is not worth the relief of having it done. So what is the take away? Don’t overload yourself, whether it be in your professional life or your personal life. Make sure you are in control of your schedule, at least as much as you can be and make a concerted effort to that end. Matthew Thompson is a family law attorney in Mississippi and says don’t get overloaded. You may also contact Matthew with your family law case, question or concern at (601) 850-8000 or Matthew@wmtlawfirm.com. I am a family law attorney and one of the greatest lessons that I have learned is to be focused on your own family. My mentor was/is Mark Chinn. Mark is one of the best family law attorneys in the Country. He is smart, tough, knows the law and knows how to persuade. However, one of his best qualities is that he focuses on his own family. I have worked with Mark for over 9 years. During that time there was rarely an instance where he missed one of his children’s events or milestones; be it sports, school, or otherwise. He made it a priority to be there and they knew it. He would not let his schedule and other person’s issues – which could usually wait and rightly should- interfere with his priorities,for all of the right reasons. By focusing on your own family and keeping them in focus, you will stand a much better chance of avoiding someone like me, a divorce attorney. I hope you do. In Mississippi it is possible to get Undivorced. I am not talking about remarrying the same person, but having your legal divorce – legally revoked. Upon satisfactory proof of reconciliation, the Court which granted the divorce may revoke the judgment of divorce. The judgment of divorce from the bonds of matrimony may be revoked at any time by the court which granted it, under such regulations and restrictions as it may deem proper to impose, upon the joint application of the parties, and upon the production of satisfactory evidence of their reconciliation. 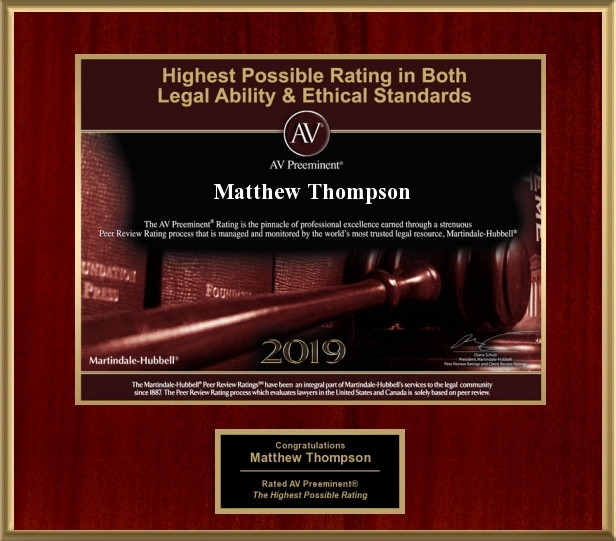 Matthew Thompson is a family law attorney and has handled multiple undivorces.